From Klaussner Home Furnishings comes a collection to bring the comfort and country style of Trisha Yearwood to your home. Trisha Yearwood is famous for her successful music career and has now tackled the kitchen with her own cooking show. Trisha has down-to-earth style to share with the world and what better way to do it than through this whole home collection. Create a dining room that is warm and welcoming with a large kitchen table for all to gather around. Renew your bedroom to become a tranquil place where you love to start and end your day. Update your living room with an upholstered sofa or chair that exudes relaxed but traditional style. 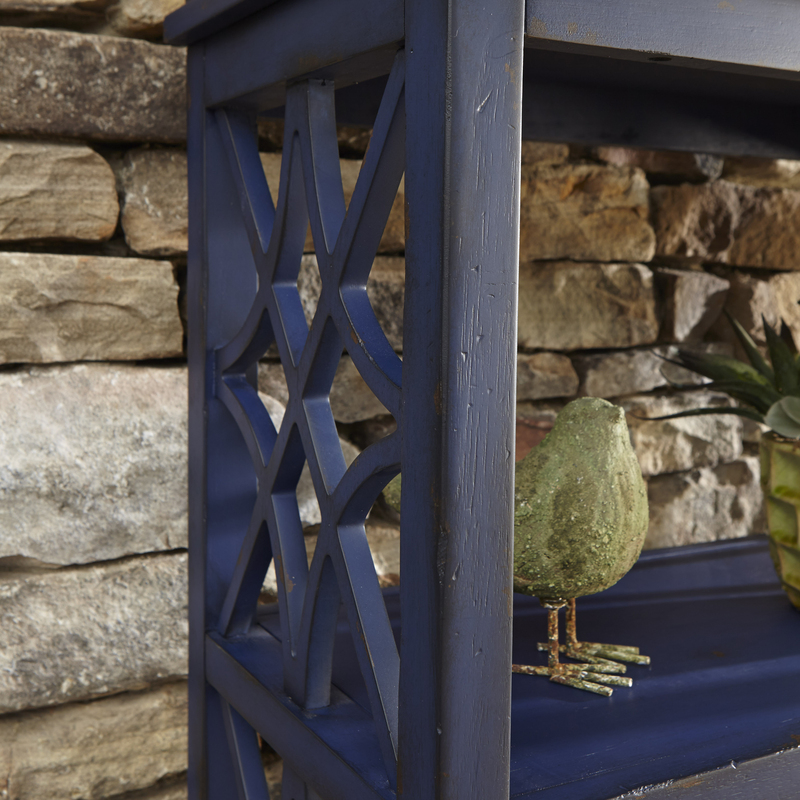 From the simple details to the care and quality on each piece, you’ll find just what you need from the Trisha Yearwood Home Collection. 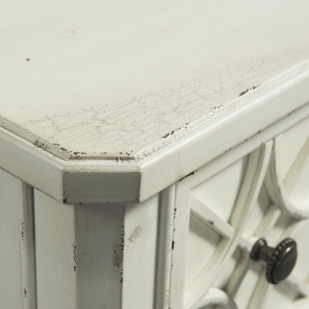 Distressed Edges Create Character Pieces from this collection feature an antiqued and distressed look bringing classic charm and character into your home while not compromising the quality or integrity of the piece. Bring a relaxed southern style into your home with a distressed piece from this collection. Complementing Finishes Complete Your Room The Coffee finish is used in the bedroom, dining and occasional pieces for a versatile and timeless look and features distressing and burnishing for a relaxed look. Accents and occasional pieces use the deep Troyal Blue and off-white Whipped Cream finishes to finish the look of your room while adding the eclectic style you crave. Lattice Pattern on Drawers and Shelves A lattice pattern can be seen throughout the collection adding detail to many of the pieces. 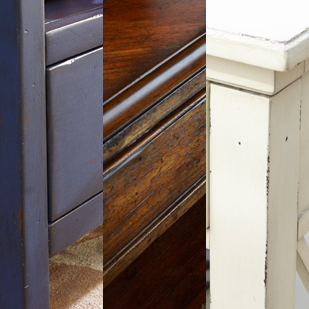 You can see this pattern on drawer fronts which are then accented by simple drawer pulls. The lattice pattern is also featured on the sides of shelving to add style to your storage pieces.